In a LinkedIn post this past June, “Want Kids to Succeed? Teach them Focus,” Daniel Goleman explains why concentrating is a precursor for both learning something new and developing self-control. We all know that success in school and in life depends on developing this ability, so it’s encouraging to see modern psychologists and educators recognize this is a fundamental skill to address in school. Goleman offers great suggestions. In the Montessori educational approach, the development of concentration is already front and center in its every aspect. This may be a little-known fact. 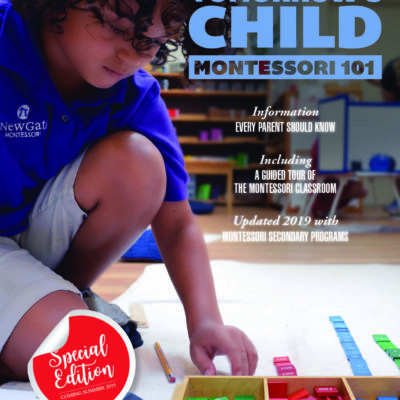 Kathleen Loyd, Ph.D, an AMI Montessori-trained teacher and a college professor, writes that, “…Amid all the comments typically heard explaining Montessori education, the value of concentration for optimal human development is rarely mentioned, yet this is the foundation of [her] work.” (NAMTA Journal, Winter 2011). 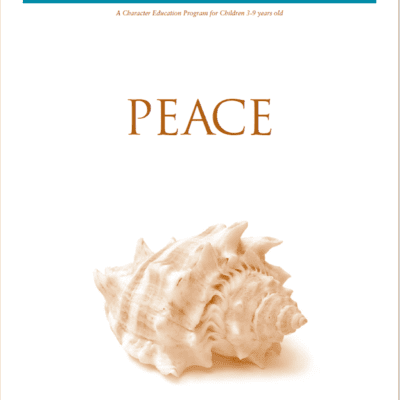 Maria Montessori recognized, as early as 1906, that to develop one’s ability to concentrate was essential to all else and, therefore, she began her work with this end in mind. In her lecture in Rome on April 3, 1913, she proposed that unless we work with the nature of the young child, we would be trying to attract a fleeting attention with our teaching efforts; instead, her approach was to “awaken” the attention in the child by presenting a material that meets his developmental needs and encourages spontaneous repetition as the child tries to figure it out. About human nature, she observed, “We do not observe all things indifferently, but there are some things that attract our attention and some which do not, so that the mind is built up…on something that is…actively seized. “This inborn primitive response can be understood as something that persists and begins to characterize the individual psyche. It is linked to some instinctive impulse…[it is a] principle for the construction of the inner-personality, which must, in turn, develop according to its own particular laws. “When viewed thus, attention is not something abstract, but something to be developed. In the world around us, we do not see everything, hear everything, and feel everything, but…we…notice [and] assimilate…to the degree to which our powers of concentration are capable. We cannot concentrate our attention haphazardly…but according to an inner drive. “If this is so…we cannot take the child’s attention and carry it where we will, but we should observe where the child’s attention tends to go, for that tendency reveals the path existing within the child or the developmental need that the child possesses by nature. And this fact is repeated, not only in the child, but, I believe, throughout the whole life of the individual. 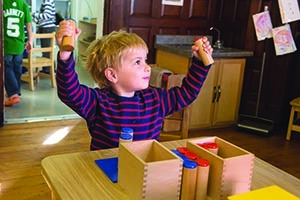 Montessori made it her goal, then, to notice what objects attracted the children’s attention so strongly that they became fixed upon them and, thereby, developed their powers of concentration — powers which could then be transferred to other subjects as their interests were piqued, so that they learned many more things. This also enabled them to form much greater self-control than adults thought possible in small children.